GCW Resources / News / SileStone® is Now Available in Metro Atlanta and North Georgia! Granite Countertop Warehouse (GCW) offers the sophisticated elegance and timeless beautyof SileStone ®countertops. The natural quartz in SileStone® delivers distinctive depth, brilliant clarity, glimmering radiance, and a cool, solid feel. SileStone® is a natural quartz surface created for kitchens and bathrooms using a special treatment that offers beautiful and varied colors, textures, and extraordinary performance. SileStone® is available in over 60 colors- with a basically endless number of color combinations and artistic possibilities! 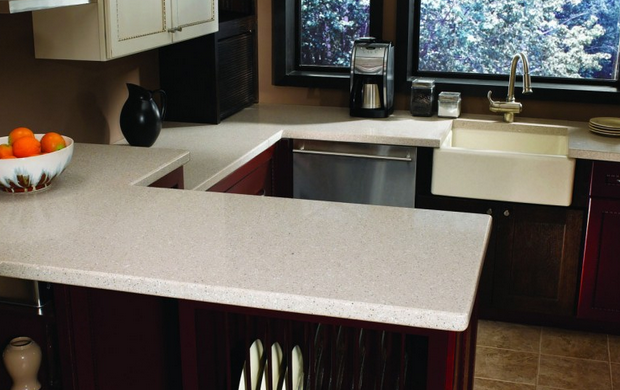 If you would like to speak to a SileStone®design expert, simply call us at 404-592-5599 or stop by today! SileStone® Altair, from the Nebula Series, is featured in this recent kitchen renovation.